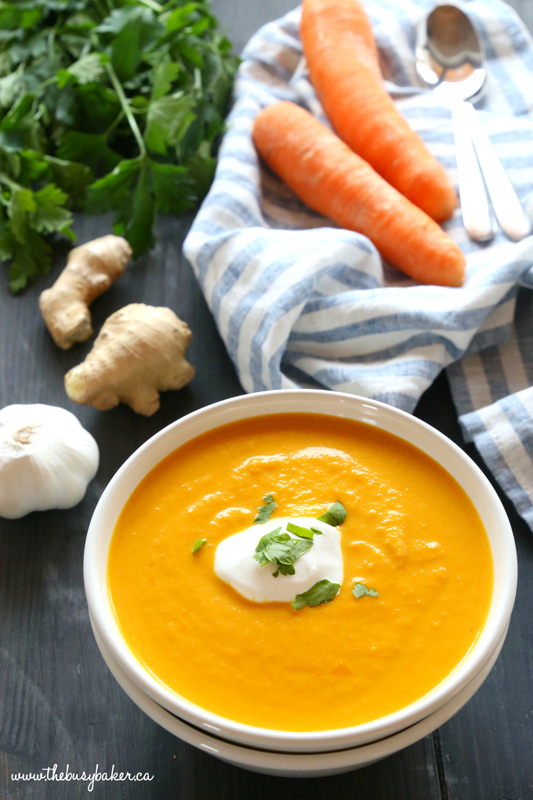 This Slow Cooker Carrot Ginger Soup is velvety smooth, packed with delicious healthy vegetables, and so easy to make in the Crock Pot or slow cooker! Happy Spring, friends! Ok, I know I’m jumping the gun just a little because it’s still early March, but our snow is already gone and we’re enjoying riding our bikes again outside and I couldn’t be happier about it!! 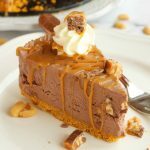 I just love the arrival of Spring every single year and it puts me in such a good mood, making me want to stock our fridge with fresh fruits and veggies again after winter and start putting salads back on the table. 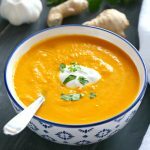 Truthfully, we enjoy soups a lot in the springtime too and this Slow Cooker Carrot Ginger Soup is one of our absolute favourite soups to enjoy this time of year. 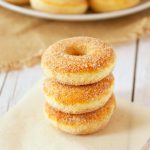 The flavours are SO bright and comforting and carrots are great any time of year. 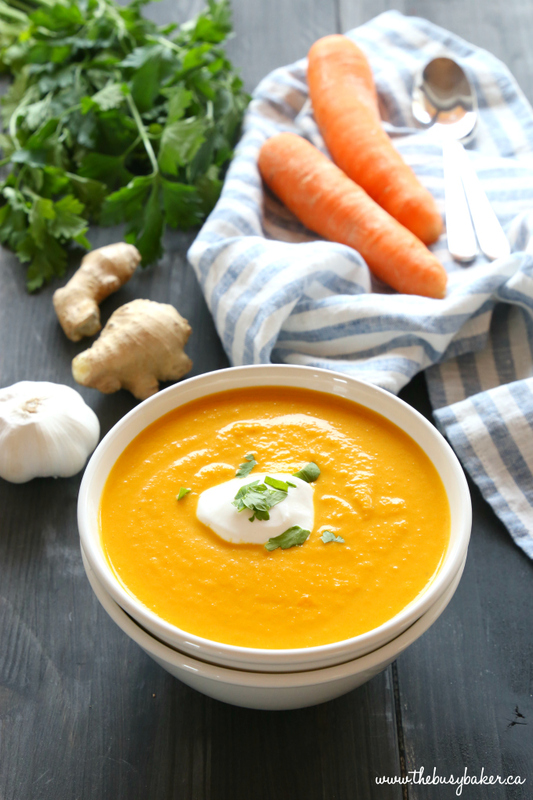 Some people might think that root vegetable soups are only for fall and winter, but au contraire! 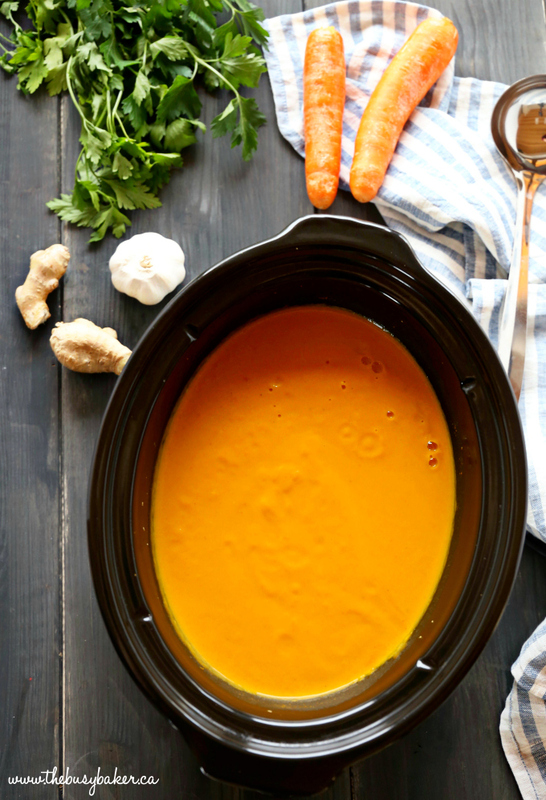 This Slow Cooker Carrot Ginger Soup is PERFECT for spring! 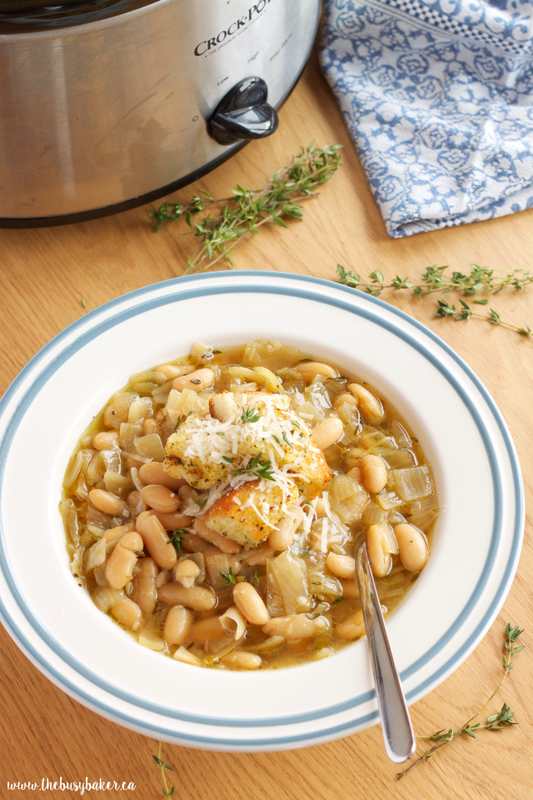 The thing that takes this soup to the next level is how you blend the coconut milk into the soup after cooking. 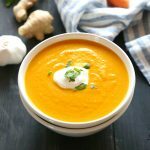 If you add the coconut milk while blending with your immersion blender the texture it creates is absolutely silky smooth and carrot soup perfection. 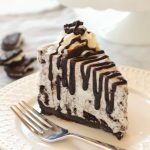 I just know you’re going to love it!! 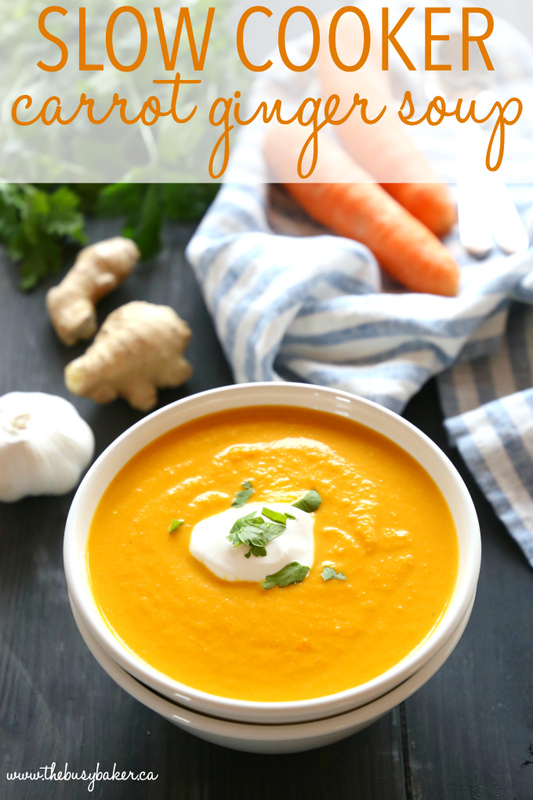 I hope you enjoy this Slow Cooker Carrot Ginger Soup recipe! 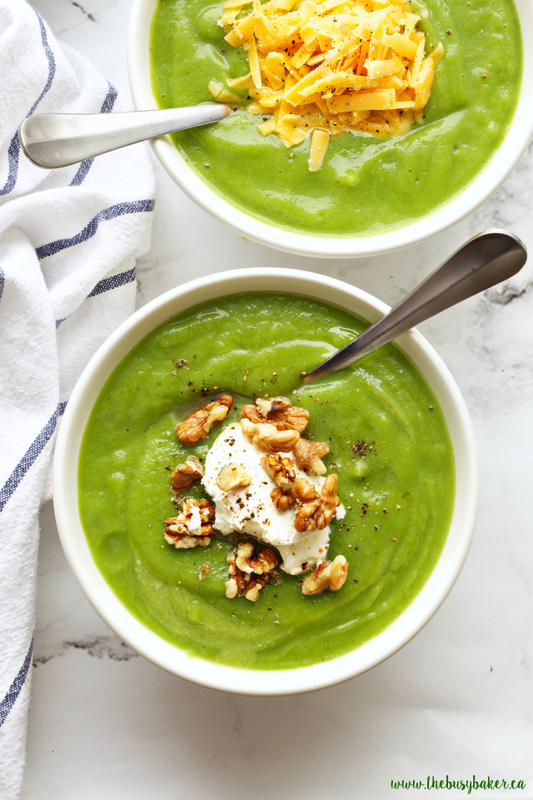 Let me know in the comments below, what’s your favourite spring soup recipe? I’d love to know! 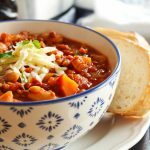 Looking for even more easy soup recipes? 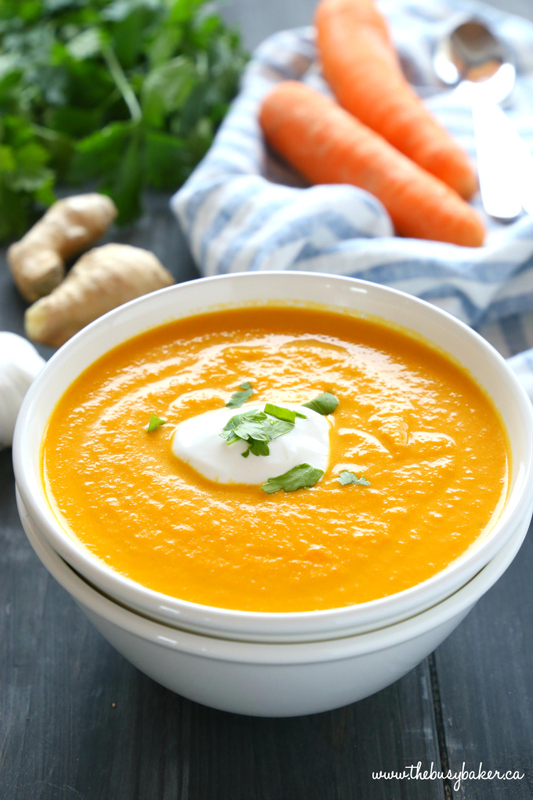 Before you grab the recipe for this Slow Cooker Carrot Ginger Soup Recipe below, check out these other delicious soup recipes! 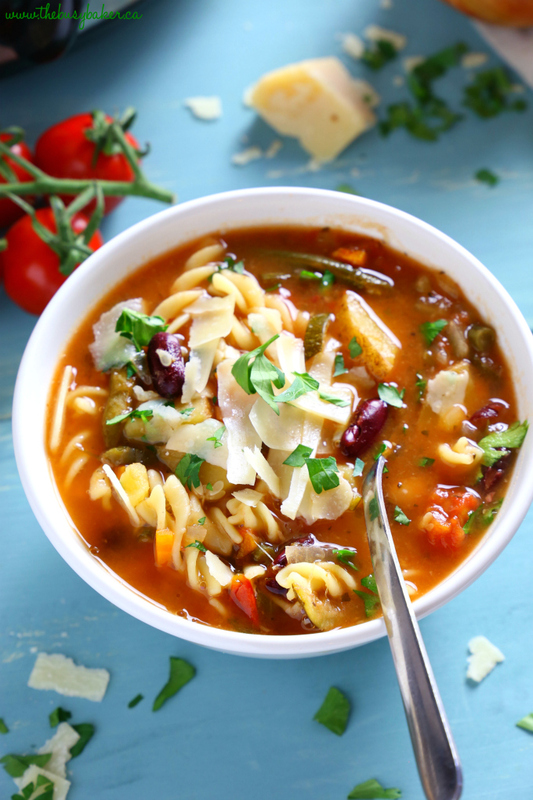 This Best Ever Slow Cooker Minestrone Soup is such a warm, comforting and hearty meal! 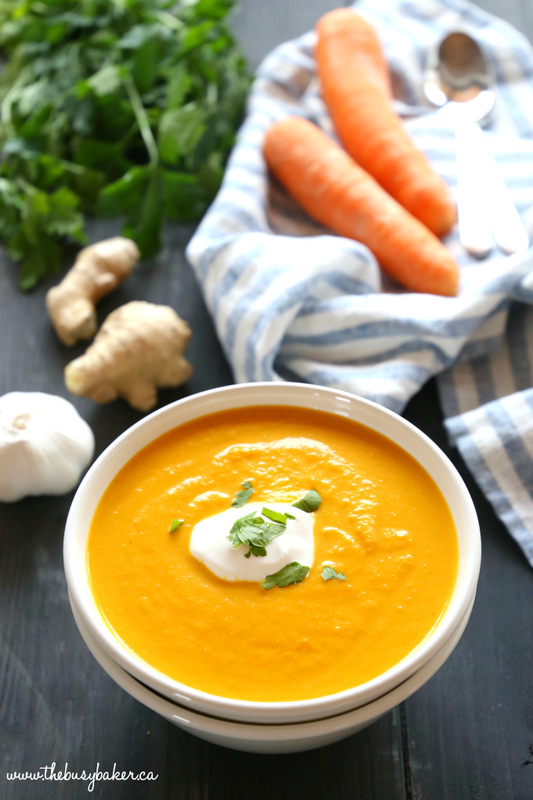 This Slow Cooker Creamy Carrot Ginger Soup is the easiest carrot soup that's warm, hearty, and packed with spicy ginger and creamy coconut. 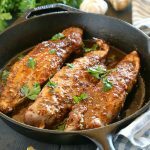 It's healthy, made with only a few simple ingredients, and it's so easy to make in the Crock Pot or slow cooker!! Add the roughly chopped carrots, diced onion, garlic, ginger, salt and pepper, and stock to your slow cooker. Cook on high for 3-4 hours or on low for 6-7 hours. 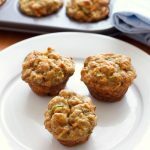 Blend with an immersion blender until smooth and add the coconut milk while blending to create a silky smooth texture. 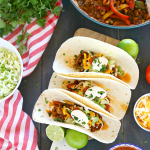 Serve with chopped parsley and a dollop of sour cream or coconut cream for garnish. I’m sorry it didn’t work out for you – what kind of carrots did you use? If they were good quality carrots they should have had an overwhelming flavour.